For our romantic wine lovers, at last! 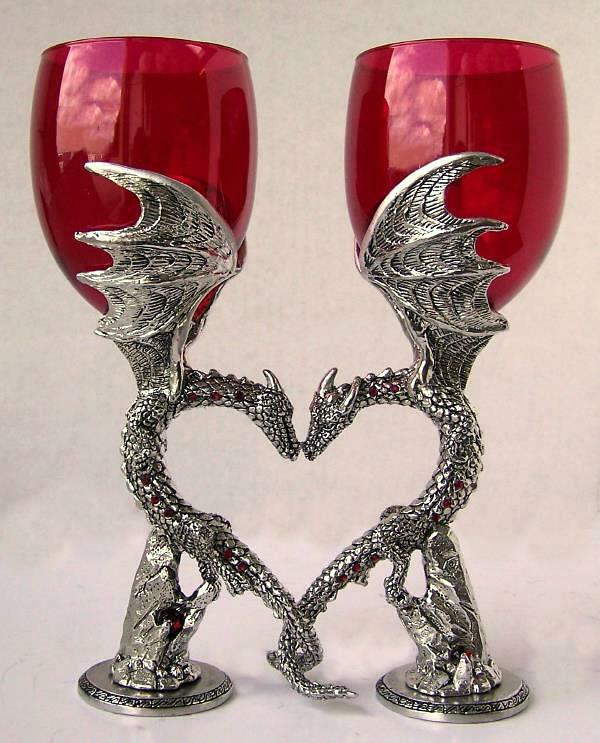 These dragons nuzzle and curl their tails together, forming a heart between them. Crystals sparkle down their sides, and crystal balls are caught among the rocks below. Each glass easily holds 10 ounces of your favorite libation. Our pewter is lead-free and our glass is made for us in the U.S.A. *Note: crystals down the side will match glass color, except Clear glass will have Blue crystals (unless specially ordered).